Memorial Hall is one of New England’s oldest museums. When Deerfield Academy’s original 1798 school building became available, antiquarian George Sheldon organized the collection of artifacts he was assembling, and in 1880 Memorial Hall opened. The museum’s extraordinary collection of furnishings, paintings, textiles, and Indian artifacts is “the finest collection of local antiquities in New England” and is one of America’s oldest museums. Come explore the museum’s 19 rooms of art, culture and history! See some of the collection highlights here. Find out about this year’s Special Exhibits here; and upcoming Events here. Admission is $6 for adults; $3 for youth and students 6-21. The museum is also open by appointment or for school groups; please call 413-774-7476 ext 10o if you would like to schedule a group tour. Get directions here. Note to Teachers and Special Interest Groups: Memorial Hall Museum is also available for field trips and group tours. More information here. 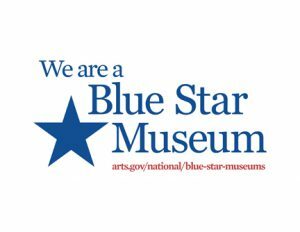 Memorial Hall Museum participated again this year as a Blue Star Museum, offering FREE ADMISSION to the nation’s active-duty military personnel and their families (up to 5 family members), including National Guard and Reserve, from Memorial Day, May 28, s018 through Labor Day (September 3, 2018). For more information on this program, please visit their website here. The Pocumtuck Valley Memorial Association Library—located next to Memorial Hall Museum—has an exceptional collection of manuscripts, diaries, account books, town records, maps and other documentation. The library is open Tuesday through Friday, 9 am to 12 noon, and 1 pm to 5 pm and is closed most holidays.